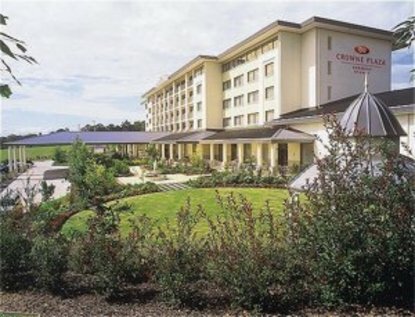 Crowne Plaza Norwest Sydney is ideally located at the gateway to the Norwest Business Park on the Corner of Windsor Road and Norwest Boulevard. Crowne Plaza Norwest is conveniently situated at the third interchange of the Westlink M7. This motorway connects the west by providing an uninterrupted journey between the M2, M4 and M5 motorways. Just 40 minutes drive from the Sydney's CBD via the M2 Motorway and 15 minutes from Parramatta, Crowne Plaza Norwest Sydney offers the best of both worlds with the peace and tranquility of landscaped gardens, rolling hills and easy access to the business heart of Sydney and the North Western Business District - a perfect location for both corporate and leisure stays. The hotel features 132 superbly appointed rooms including 8 spa suites, restaurant, bar, heated swimming pool, gym, state-of-the art function facilities and over 200 complimentary car parking spaces. The hotel is conveniently close to major shopping facilities and a vast selection of local restaurants and leisure facilities including indoor rock climbing, ice skating, ten-pin bowling and full golf course.